The search for an easy, sustainable and non-tedious diet is never-ending. The latest weight loss diet to hit our shores is based on the principle that you can eat ‘whatever you want,’ for five days a week, and for the remaining two days, consume around a quarter of your usual calories. This equates to around 500 calories (a bit over 2000 kilojoules) for women, and around 600 calories (2500 kilojoules) for men. The idea of intermittent fasting is certainly not something generally suggested for long term weight loss. According to Michael Wosley, medical journalist and author of The Fast Diet, he was initially sceptical of the method, too. However, after a year of research and playing guinea pig with his own diet, Wosley lost around 9 kg and a quarter of his body fat, and has since been spruiking the benefits of fasting. A day of fasting may involve something like the following: for breakfast, a scrambled egg (foregoing the toast), berries and a tablespoon of yoghurt, or ¼ cup baked beans on toast. Lunch could include a small salad with tuna, egg or beans, and dinner may be something like a small stir-fry, salmon and vegetables or another salad. It certainly sounds achievable; however, snacking in between meals would probably set you over the calorie limit, so if you’re a grazer it may be more difficult. Wosley himself manages his fasting days by eating a 300-calorie breakfast at 7am (300 calories being the equivalent of 2 slices of white bread and 2 boiled eggs), and then not eating again until his 300-calorie dinner at 7pm! Just the thought of going 10 hours without eating makes my head spin, mainly as going this length of time without fuel is sure to cause a dive in blood sugar levels, resulting in those characteristic shakes, as well as a severe decrease in concentration and mental acuity. 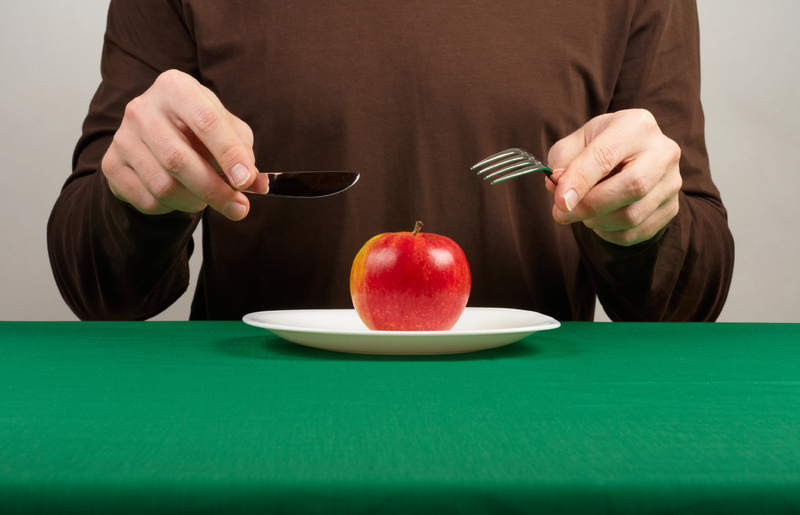 So how’s the evidence for intermittent fasting on health? Quite a bit of research has been undertaken on the effects of fasting during the traditional Muslim month of Ramadan, in which fasting takes place between sunrise and sunset. One such study, which monitored fifty men and women about to commence Ramadan fasting, involved measuring the levels of pro-inflammatory cytokines in their blood. Cytokines are molecules circulating in the blood that respond to changes in the host’s health status. They may be pro-inflammatory, and amplify the symptoms of chronic disease – for example, Interleukin 1 (IL1), and tumour necrosis factor (TNF) – or anti-inflammatory, and work to reduce inflammation, and return the body to a healthy state. During the fasting period of Ramadan, the participants showed decreased levels of pro-inflammatory cytokines in the blood, along with decreased blood pressure, body weight and body fat percentage. These all increased once normal eating was resumed. Another interesting finding was that immune cells were significantly lowered during fasting, however as the proposed diet suggests only two days of intermittent fasting, it’s doubtful that immunity would be suppressed long term. Another noteworthy study sought to compare the efficacy of intermittent energy restriction (same principles as the 2:5 diet), with continuous energy restriction, in which lower calories were consumed each day. 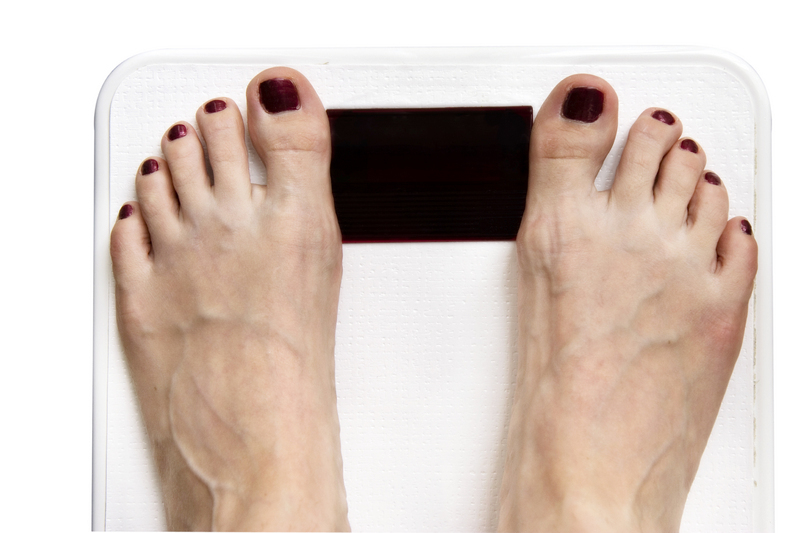 107 middle-aged women were divided into the two experimental groups, and over the course of six months they were monitored for changes in weight, along with many other markers of health status. The study revealed similar results for each group, with both diets leading to weight loss, improved insulin sensitivity, and decreased cholesterol and blood pressure. These findings suggest that intermittent fasting can be looked on as a viable alternative to full-time dieting, certainly an attractive option for those not committed to going the whole hog. One limitation to the study however, was that each participant was encouraged to eat according to a Mediterranean-style diet, which is synonymous with good health with its emphasis on plenty of plant foods and small amounts of meat and dairy. Food portion lists, meal plans and recipes were all supplied, which may well have led participants to adopt a diet much healthier than their norm. Such a change in eating patterns could potentially have improved their results more so than the structure of diet they were undertaking. And what do the experts think? There’s a clear divide amongst medical opinion regarding fasting for good health, but respected nutritionist Rosemary Stanton, for one, isn’t convinced: “If you are able to eat sensibly for two days in the week, why can’t people just eat sensibly for seven days?” She adds that there is no such thing as a miracle diet, and that eating healthily and incorporating exercise is a far more effective method of sustainable weight loss. May encourage mindfulness when eating – reminds us of eating when hungry rather than for the sake of it. 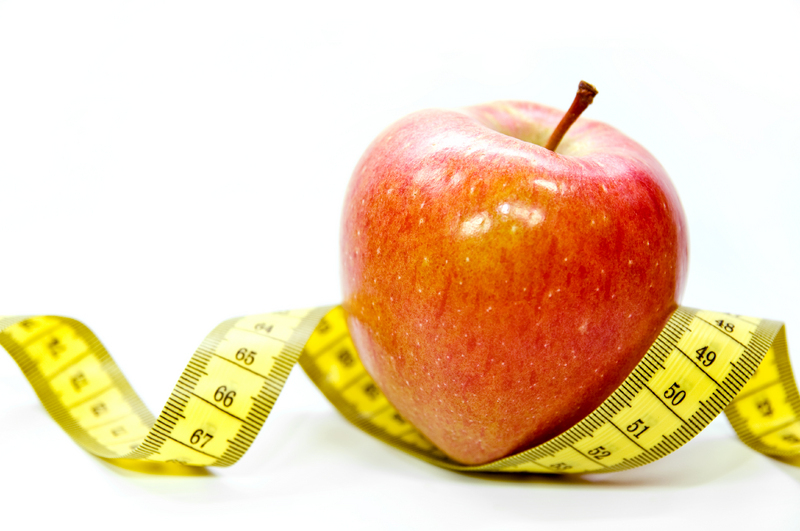 Not gaining any knowledge on healthy eating – 500 calories a day may not necessarily come from healthy foods. Not suitable for everyone (pregnant women, children, diabetics, those with a history of eating disorders. As for me, I’m not entirely convinced. Although it does have some good points, I love food too much to restrict it for a few days a week. As always, the best way to lose weight is in portion control and your food choices, going for whole foods from the five foods groups over processed, and increasing your consumption of fruit and vegetables.